To Sycuan, giving back to the San Diego community is a top priority both as an organization and through its many Team Members. The organization is a dedicated partner to numerous local charities ranging from social and health services to the arts and the environment. 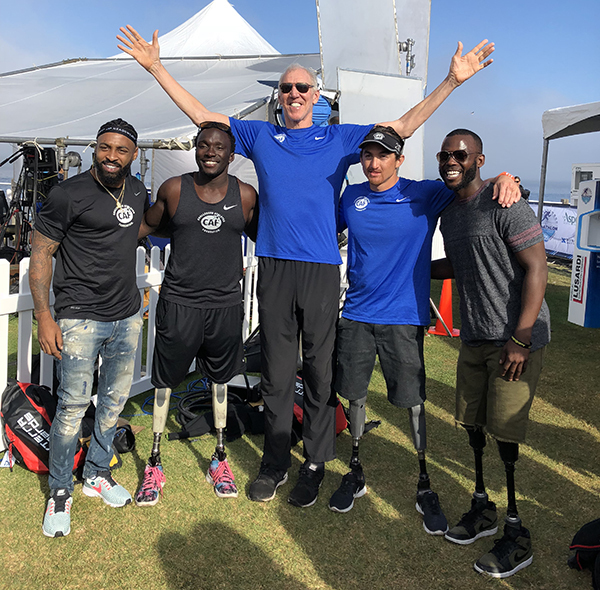 One of the organizations that Sycuan is very proud to have partnered with for over a decade is the Challenged Athletes Foundation (CAF). CAF provides opportunities and supports people with physical challenges so that they can pursue active lifestyles. The organization has several programs that allow these athletes to participate in physical fitness and competitive athletics to enhance their quality of life. 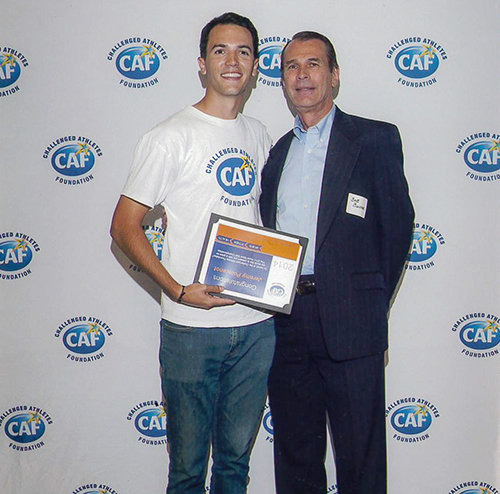 Sycuan’s Vice President of Finance, Robert Bulster was first introduced to CAF while he was participating in a half marathon in Coronado, CA. At the race, there was a national championship course for wheelchair athletes and amputees. He was moved by the participants and wanted to learn more about CAF and how he could get involved. Over the years, Bulster has supported CAF in a variety of ways. He has participated as a competitor in many fundraising events, a spectator in other events and was even invited by CAF to present an award and grant to a Challenged Athlete. Another great way Bulster has been able to help support CAF throughout the years, is through Sycuan’s community programs. He introduced CAF to Sycuan in 2006 during Sycuan’s Annual Gift Giving Ceremony. During the annual ceremony, members of the Sycuan Tribal Council and management and executive teams are given the opportunity to make a donation to a charity of their choice. Sycuan’s involvement with CAF has grown substantially throughout the years and the organizations have partnered on a number of local initiatives. 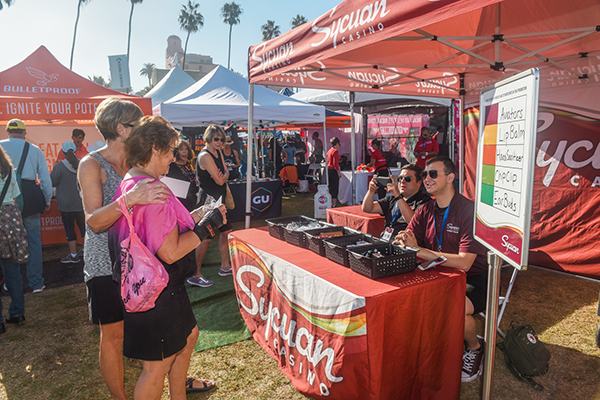 For the past several years, Sycuan has been a Platinum Sponsor for CAF’s biggest fundraising event of the year, the San Diego Triathlon Challenge (SDTC). Additionally, Sycuan has partnered with CAF Ambassador and Basketball Hall-of-Famer, Bill Walton to bring awareness to the organization through events at the casino. Multiple times per year, Sycuan hosts Walton and CAF athletes at Sycuan’s GameDay Sports Bar & Grill for a variety of special events. In addition to coming to the casino for several events, Walton is one of CAF’s biggest ambassadors and supporters. He has participated in several beneficiary events and is the largest individual CAF fundraiser as a multi-year million-dollar challenge participant.